Motor vehicle accidents are currently the number one cause of death among 14 to 18 year olds in the U.S.
Talking to teens about the risks and responsibilities of driving can be incredibly powerful to instilling safe driving habits in teens – and possibly even saving lives. 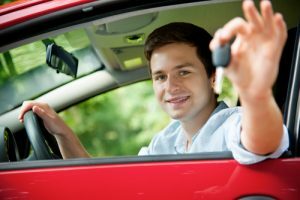 National Teen Driver Safety Week is been sponsored by the NHTSA to encourage parents to talk to their teen children about the risks and responsibilities of driving. Continue to be good driving role models for their children by complying with all traffic laws, putting down cellphones when driving and otherwise exemplifying good driving habits. Have you or a loved one been hurt in a car accident? If so, Colorado Springs Car Accident Attorney Kenneth Shakeshaft is ready to advocate your rights, help you recover financially and ultimately help you put your life back together. Since 1982, Kenneth Shakeshaft has been providing people injured in traffic accidents with superior legal service, helping them stand up to insurance companies, large corporations and/or government entities.